Despite a shaky start to round four, Cameron Smith has defended his Australian PGA title and the final round of the Mauritius Open is ongoing and live on Sky. I'll have a look at those two results in the De-brief tomorrow but I've layed my [60.0] pre-event pick, Justin Harding, back at [2.4] and [1.85] so it's going to be a profitable week and 18/1 chance, Tony Finau, my sole selection before the off, is tied for the lead at the Hero World Challenge. He tees off at 17:10 UK and Ireland time and here's the 54-leaderboard with prices to back at 10:00. Rickie Fowler won this by four 12 months ago, having trailed by seven with a round to go, but I'm not convinced we can scan too far down the leaderboard this morning. 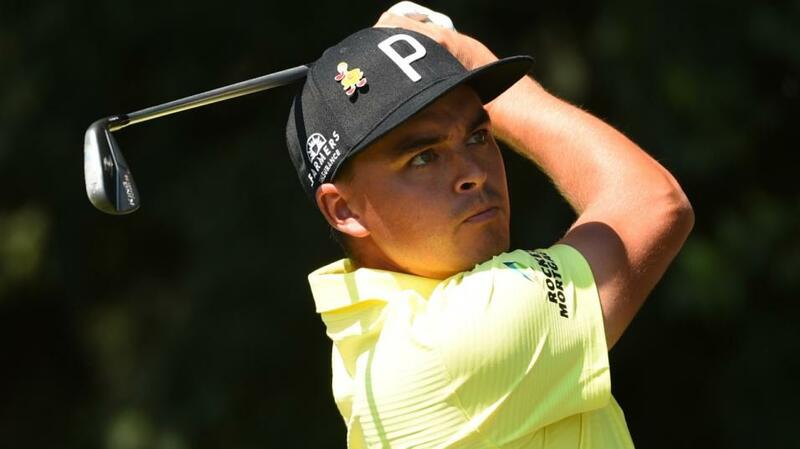 Fowler shot a sensational 61 in benign conditions and he was aided greatly by the fact that third round leader, Charley Hoffman, who had begun the final round five clear, had a poor day. It's all a bit different this time around. The weather forecast suggests we're going to get a blustery day and I can't see all three of the leaders flopping this year. The trio at the top are hard to split and I'm going to stick with my man Finau but only because my bet before the off was so small. Had I had a sizable wager I'd be thinking harder about taking a bit of profit now. I backed him this week in the believe that the conditions were ideal and that the relaxed nature of the event may help Finau. He's had such a fabulous year that rounding it off with a win would be well deserved but as brilliant a player as he is, he's still only won just once on the PGA Tour and there's an argument to be made that he should be the biggest priced of the three leaders. Defending champ, Rickie Fowler, has to be respected. His course form figures read 3-3-1 so he absolutely loves it here and after a great finish yesterday, when he played the last five holes in four-under-par, he's in a nice place to put in another charge. Given how much he enjoys the venue, and how much more relaxed he'll be for being just off the pace, he's the one I'm most tempted by but it's hard to call and I'm just going to stick with what I have. Over at the Australian PGA Championship, following a bogey-free 67 in round three, defending champ, Cameron Smith has moved three clear of my in-play pick, Marc Leishman, with a round to go and he's four clear of Matthew Millar and Harold Varner III in a tie for third so it really does look like a two-man race for the title now. I'll take my chances with Leishman but it's Smith to lose. It was all change in round two at the Hero World Challenge yesterday. Joint-first round leader, Patrick Reed, performed terribly, shooting a five-over-par 77 to fall out of contention and fellow early pacesetter, Patrick Cantlay, who alongside Reed, had been three clear of the remainder after day one, lost the lead after a two-under-par 70. The big movers were my man, Tony Finau, who shot an eight-under-par 64, and Jon Rahm, who went one better to tie the lead with Henrik Stenson. Here's the 36-hole leaderboard with prices to back at 11:35. Given the ridiculous quality of this small select field, the task faced is to sort wheat form wheat. There is no chaff present and it's very difficult. Dustin Johnson heads the market but he was tied for the lead at this stage two years ago before shooting 72-71 on the weekend and I'm not in a rush to side with him but they're tough to split. As we've already seen, with second round scores ranging from 63 to 77 yesterday, with such a small field, much change can occur fast so chancing someone just off the pace with still two rounds to go may be a decent plan of attack. Last year's winner, Rickie Fowler, trails by five and that was how far adrift he was at this stage last year. He actually fell further back with a third round 72 but then shot 61 in round four to go from seven back to four in front! I'd be interested in playing him given he clearly loves the venue but he can't be considered value at [22.0] when major champs, Justin Thomas and Justin Rose, who are only six off the lead, can be backed at in excess of [50.0]. Thomas is more than capable of going super-low and Rose lives at Albany so he must know the track better than the rest, and that could just make the difference over the weekend. The third round of the Mauritius Open is drawing to a close and halfway leader, Kurt Kitayama, my man, Justin Harding, and French pair, Victor Perez and Matthieu Pavon, are bunching up at the top of the leaderboard. I'll try and return late this afternoon with a quick look at the close of play today but I'm off to the Manchester City v Bournemouth match (previewed here by Andy Schooler) and I'm out this evening so I might struggle. I haven't layed any of my Harding bet back yet but I may well do before round four starts. Smith and Marc Leishman were the only two players trading at a single-figure price before the off and it's hard to envisage the title going to anyone else now. They dominated the market pre-tournament and they have a stranglehold on it now. Leishman was the narrow favourite over Smith before the off and he looks like the value to me at [3.5] at halfway, although, one word of caution, I never seem to get him right. The second round of the Mauritius Open is yet to quite finish and with the wind increasing and the clouds darkening, a delay isn't beyond the realms of possibility but the leaderboard looks fairly well set anyway, with 25-year-old Californian, Kurt Kitayama clear at the top. Here are the latest standings at 12:55. The presence of Kitayama at the top of the leaderboard is a bit of an annoyance. As highlighted in the preview, length of the tee and Scrambling were the two stats I concentrated on before the off. Kitayama whacks it miles and he ranked highly for Scrambling too so he was certainly in the radar but I have to confess, he wasn't a player I knew much about so I left him out. And I know even less about the Indian currently sitting second, Chikkarangappa. One of my picks, Justin Harding, is among the group tied for seventh on -9 and I'm just going to cheer him on for now. I'll have a deeper look at the state of play this evening when the 36 hole leaderboard is set and the market is more robust but I very much doubt I'll be having a bet. It feels a bit too much like guesswork given the players in-contention. It's a tale of two Patricks so far at the Hero World Challenge, where Cantlay and Reed are tied at the top on seven-under-par after the opening round and those two are three clear of Dustin Johnson and Henrik Stenson in tied third. This is the fourth edition to be staged at the Albany in the Bahamas and the first three winners here were all up with the pace early on, trailing by just a solitary stroke after the opening round. It's very early days but those stats suggest these two are in a prime spot already. I'm happy to sit and wait a bit longer before getting involved though. Rickie Fowler demonstrated last year that it's not imperative to be up with the pace. Having sat second after round one, Fowler fell to fifth and five back after round two and he was seven adrift after three rounds before shooting 61 to win by four! There's a long way to go with such a small field given low scores are perfectly possible so I'm happy to sit on my hands for now and see what today brings. I didn't get around to looking at the Australian PGA Championship before the off but our resident Aussie specialist, Paul Krishnamurty, did and anyone that followed Paul is already on good terms with themselves. Paul's the main man for many things, especially politics, snooker and cricket trading but he's the absolute dog's doodahs when it comes to golf Down Under and he's off to a flier again. Jake McLeod, who he's backed each-way at 40/1 and for a top 10 finish at [5.0], is tied for the lead alongside Matt Jager and another of his top 10 finish fancies, Dimitrios Papadatos, sits tied for third. Not a bad start! Pre-event favourite, Marc Leishman, recovered nicely after a slow start to sit tied for fifth and he's still very much the man to beat. I'm going to let the event tick along without me for now and I'm also going to leave the Mauritius Open alone for now too. A couple of my pre-event picks were doing well this morning but they had vastly contrasting finishes. Playing the back-nine first, Garth Mulroy was flying along and he got to five-under-par with four to play but he double-bogeyed both the sixth and ninth. It's swings and roundabouts though. The shortest priced of my five picks, Justin Harding, did this at the last to post five-under and to sit tied for sixth and just three off the lead. In-form Frenchman, Victor Perez, has opened up the event with an eight-under-par 64 but a number of fancied runners have also started well and it looks like an event to leave alone for now. The Hero World Challenge kicks off shortly and is live on Sky Sports at 18:30 in the UK. I've previewed the event here and Dave Tindall's also picked out three to back before the off here.